Advances in technology are simplifying so much of our daily routine and making us more productive. However, the process of understanding and claiming refunds for delays and cancellations across our transport system remains complex and cumbersome. Unsurprisingly, many passengers don’t claim what’s owed to them and this just adds to the growing dissatisfaction levels reported by passengers on our trains, planes and other modes of transport. As we found with Ryanair, the rules are not always explained correctly, or explained at all, to passengers. As a Member of the Transport Select Committee since 2015 and a veteran in the daily commute from East Sussex, I’ve consistently called for a radical change from the industry in their approach to compensating passengers. Today, in Parliament, I’ve taken this one step further by proposing that legislation is introduced to provide automatic travel compensation. This Bill would ensure that passengers on trains, flights and other domestic transport systems, have their bank accounts automatically credited with the compensation owed to them without first having to work out what their rights are or try and apply for it. Last year, nearly 67 million rail journeys were either cancelled or were significantly late across our nation’s railways. These delays can lead to lost output, financial hardship and stress. Rail passengers expect adequate compensation for delays and cancellations. To move to a system of automatic compensation would also incentivise the train operators and Network Rail to do more to prevent these issues in the first place. This would also, in turn, increase our nation’s productivity. Whilst a number of steps have been taken in the last year, including the strengthening of the Consumer Rights Act 2015 and the introduction of Delay Repay 15 for Southern and new franchises, only a third of rail passengers who are owed compensation make a claim. Network Rail currently makes payments to train operators for all delays which it has caused to track and infrastructure. However, if only a third of the passengers who experience the actual delay claim for it, the remainder must be retained by the train operators. My Bill would require the train operators to ring-fence this excess. It could be used only to advance technology which would allow every passenger to touch on, and off, their train. Having pre-registered account details, the passenger would automatically receive compensation in their bank account on the day they were inconvenienced. Every passenger is entitled to compensation. If the technology exists then it must be applied to all. 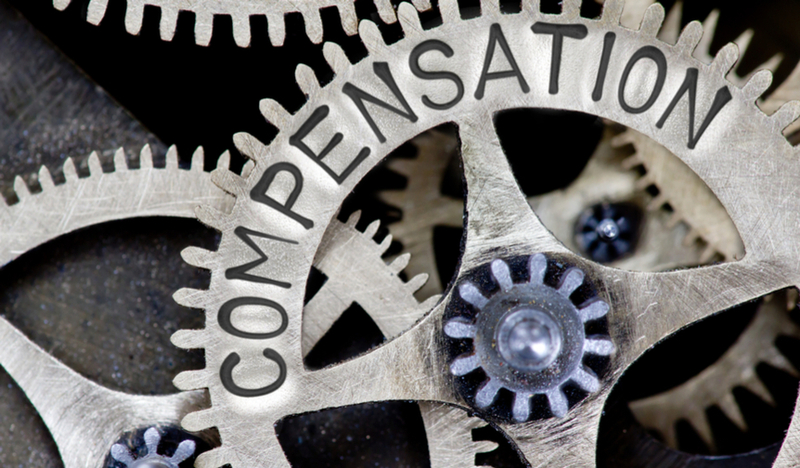 When compensation isn’t going to the passenger, the taxpayer-funded compensation coming from Network Rail should be used by all train operators to get us to a place where compensation is automatically delivered to every passenger that’s entitled to it. The situation is arguably worse with airlines, as the recent debacle at Ryanair demonstrated. With 2,100 flights being cancelled, 315,000 passengers of Ryanair were left out of pocket. However, the company’s website failed to mention the word ‘compensation’, mentioning only that it would comply with ‘EU Regulation 261/2004’. Unless a passenger is an expert in EU regulations, they wouldn’t realise that this ruleset provides compensation and assistance to passengers in the event of denied boarding, cancellation, delays and downgrading when flying. It took the Civil Aviation Authority to threaten enforcement proceedings before Ryanair informed its customers of their compensation rights. All of this can be avoided. Putting the onus on the airline to calculate compensation, and credit it automatically, must be possible. For security reasons, every airline must know which flight a passenger is booked on and they know whether it has been delayed or cancelled. They also know a passenger’s account details (or can find it via the flight booking agency). There’s now a compelling reason for Parliament and the government to ensure that passengers are compensated. To do so should incentivise those paying to do more to reduce the overall number of delays. It’s time for those responsible for the passenger to give something back to the passenger. My Bill has the backing of over 50 MPs from every political party in the UK and passed this afternoon. The Bill will have its second reading on Friday 16 March 2018. This is one such change will hopefully see the consumer benefit from us working together to get the industry to change its approach. This is a guest contribution from Huw Merriman MP. All views expressed here are Huw’s own and not necessarily also shared by Which?. Which? has been calling for improvements to be made to the compensation system for both rail passengers and airline passengers. Automatic compensation would make sure that passengers get the compensation they’re entitled too and encourage both industries to improve their services. Do you agree that automatic compensation should be awarded to rail and airline passengers? Booked a Easyjet flight from Gatwick at 7.20 on 20 December 2018, we received an SMS from Easyjet informing us our flight was cancelled whilst travelling by taxi to Gatwick at 3.00 am. we had to find an alternative flight the same day as the next available Easyjet flight was not until 23 December 2018 and was probabaly already full. We had prebooked and paid for accommodation, ski hire etc. and did not want to lose 3 days waiting for a possible next flight. We managed to book a SAS flight at 10.30am from Heathrow with 2 transits, and had our taxi divert to Heathrow. Arrived at our destination at 8.30 pm after a 2 hour taxi journey from the airport, exhausted but glad we made it there on the same day. We are trying to claim expenses for an alternative flight and taxi from airport to our destination. Royal Air Maroc cancelled my flight with no notice. I found out when i went to check in. They had moved me from manchester to heathrow. I am disabled and on much medication so i have to get a taxi at a cost of £250 to enable me to get to london but i have to sit in london for nearly 24 hours as the man can only go at this time. Other than that the next available flight is 23rd february. In 11 days. My cat is already taken to her cat hotel because no one had contacted me. Can i claim compensation?? My flight was cancelled back in November 2018, I only found out recently before flight originally scheduled for this month, but through my own accord but crucially more then 2 weeks in advance. I was not informed via the agency or the airline, would this negate my compensation claim? The airline would surely argue that although they failed to inform me ( within two weeks in advance of scheduled flight to claim compensation) I was aware as I simply found out myself more than two weeks in advance. EU Regulation 261/2004 provides that passengers are entitled to compensation when their flight is cancelled unless they are informed at least two weeks in advance. The burden of proof that such information was provided to the passenger lies on the operating carrier – EU ruling, in the case of Krijgsman v Slm attached.